Mandur Bhasma, an iron-based Ayurvedic preparation. LIV 52® is a supplement formulated for the liver, an organ essential for healthy bodily function. Part of the digestive system, the liver fulfils vital functions, primarily those of storing, synthesising and purifying. It participates in fat and carbohydrate metabolism and stores numerous substances such as glycogen and vitamins. It synthesises a number of proteins such as albumin, as well as bile, the fluid that aids digestion. Above all, the liver is known for its detoxifying action, helping to destroy or convert toxins such as alcohol, drugs and other waste products. Unfortunately, the liver sometimes has to deal with multiple external aggressors which can prevent it from functioning normally and produce harmful consequences for the body. It is thus essential to support and protect your liver. The liver can sometimes become damaged, due perhaps to a disease such as viral hepatitis, or significant accumulation of toxins, as is notably the case with alcoholism. Without proper treatment, such liver damage can prove dangerous and cause serious complications, ultimately resulting in irreversible cirrhosis. LIV 52® can offer vital help in detoxifying the liver. Its 50 years of use are testament to its efficacy, as are the 170+ clinical studies conducted on it. Close to a hundred studies have also focused on its potential in preventing and treating viral hepatitis, alcoholism, cirrhosis, malnutrition and hepatoxicity induced by radiation and chemotherapy. limiting fatty infiltration of the liver. 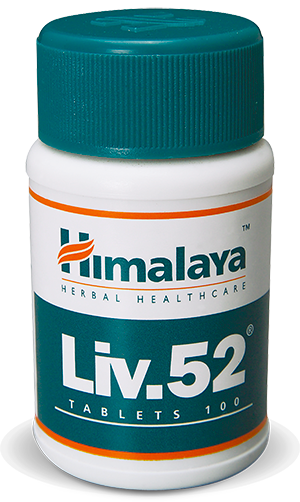 LIV 52® is one of the most widely-taken Ayurvedic formulations in the world, with more than a billion tablets sold each year. Available from the Supersmart catalogue, this renowned formulation can be ordered on line for fast delivery to your home. Our dietary supplement comes in capsule form at a suggested dose of one to two capsules a day. Take one or two tablets per meal, or as advised by your therapist.